Warning Sign. Electric Fence / Text: Caution, Electric Fence! Lizenzfreie Fotos, Bilder Und Stock Fotografie. Image 115687040. Standard-Bild - Warning sign. Electric fence / text: Caution, electric fence! Warning sign. 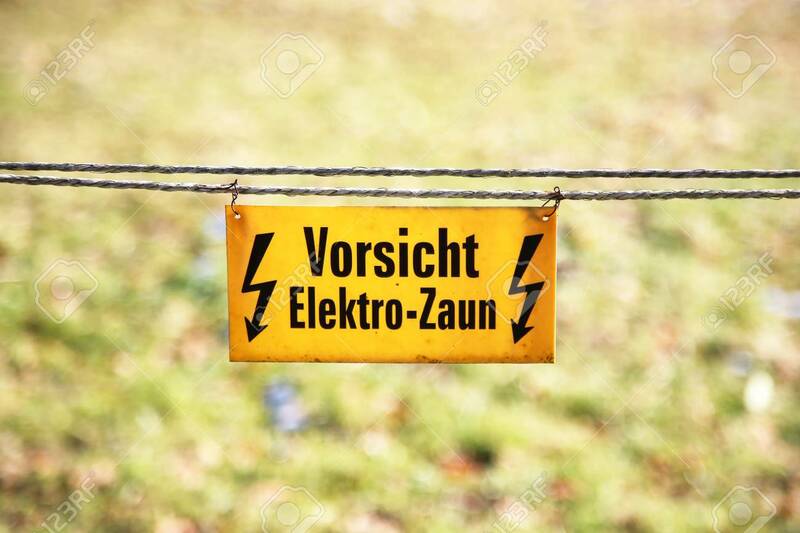 Electric fence / text: Caution, electric fence!